A Japanese-style ryokan located in the ancient city Nara that shows a variety of personalities along with the transience of seasons. From the inn next to the world heritage Okuyama virgin forest, located in Wakakusa Mountain, guests can enjoy the scenery of Nara loved by tanka poets listed on the Manyoshu. 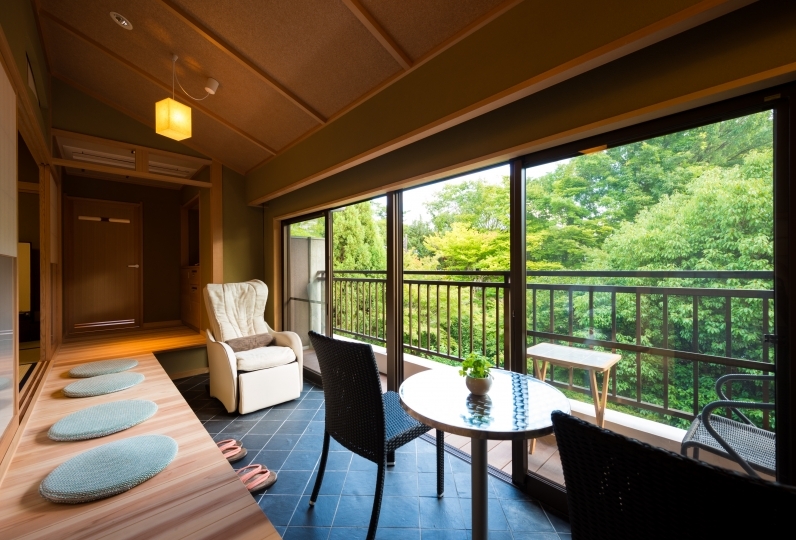 In addition to conventional rooms, the inn renewed in the spring of 2009, offers new rooms with open-air spas and interior spas made from Japanese cypress, a maisonette room with a liberal open atmosphere, and a 'special room' overlooking Todaiji Temple Hall of the Great Buddha. Each room is wrapped in natural kindness where you can experience something really special. In addition to colorful and vivid Japanese style banquet cuisine, dishes that take advantage of produce from the four seasons such as dishes using Iga cattle and Yagyu beef pot are served. "Yagyu pot" by Yamato pork cooked with miso has been popular since the hotel's establishment. After you fill up with a meal, you will be awaited by two spas located in the inn: "Tenpyo no yu" made with marble reproducing the splendor of the era and "Komyo no yu" which offers a leisurely moment with warm interiors. Enjoy leisurely mild hot water utilizing "Komyo medical Stone". 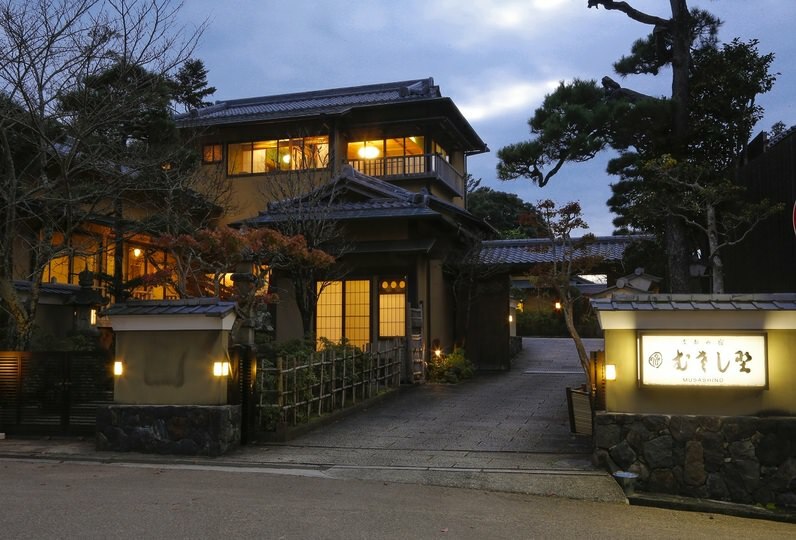 The inn overlooks scenery of trees on Wakakusa Mountain and a night view of elegant Nara. Enjoy a wonderful trip in the ancient capital Nara with what is one of the big three sights of Japan. This inn offers a very different atmosphere from an inn at the city. I was glad that warm daily and breakfast was warm. When scenery was good and cherry blossoms were in full bloom, I thought it would be the best. The service of Asa coffee was very pleased. It was my first inn, but I was able to relax slowly and it was very good. Moreover, I was able to spend pleasantly with the staff and getting along well. Thank you for this time. I will use it when I will visit Nara next time again. The hotel has two spas: Tenpyo-no-yu and Koumyou-no-yu. Both use hot water and medical Stone "koumyou". Spend time healing and soaking leisurely in the transparent and comforting hot water. The tepid hot water with koumyou stone is tasteless and odorless and is known for its eight healing properties. As a bath agent made of natural ore, it has been designated as a quasi-drug. Decorated with marble pillars, the spa reproduces the splendor of the Tenpyo era. An open-air spa and an interior one offer two different atmospheres. 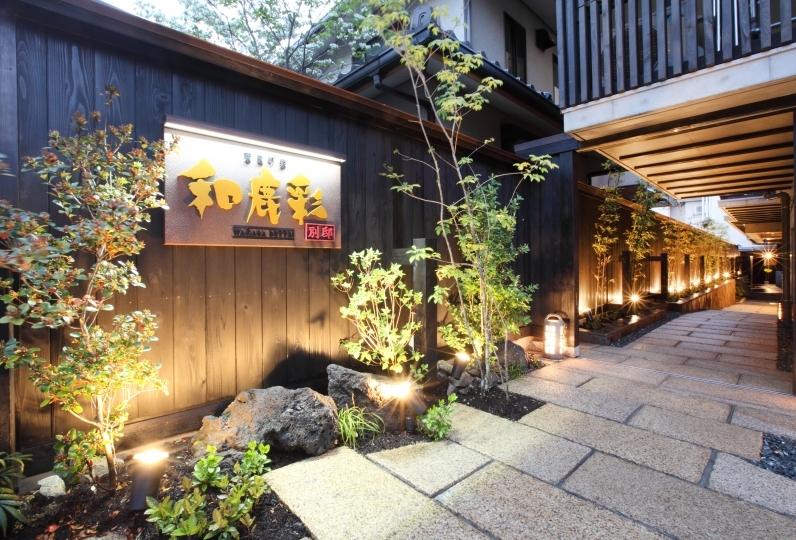 With interior decorations and a calm atmosphere, Koumyou-no-yu consists of an open-air and an interior spa. 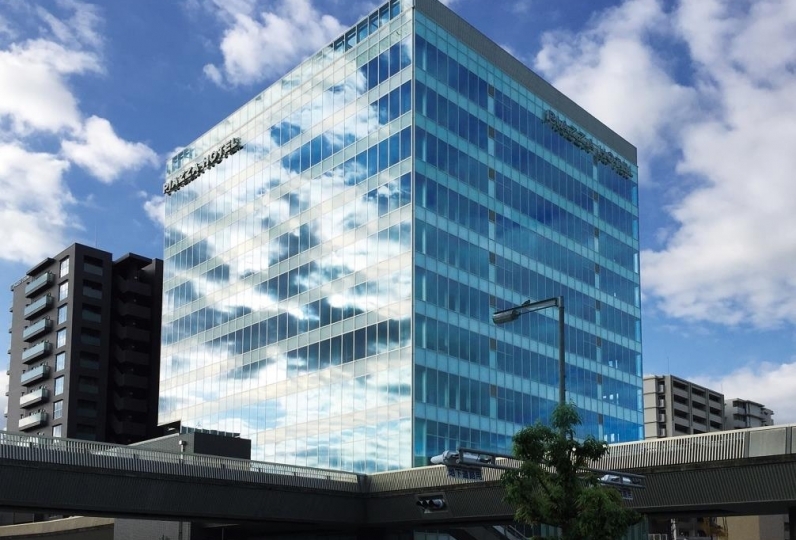 ・A seminar room may be utilized for groups up to 150 people. For Western and Japanese-style banquets, conferences, and seminars. For end-of-year parties, New Year parties, and recreational banquets. A space for smaller group or conferences. ・A color yukata rental service is available (free of charge). Colorful yukata is available for free rental for women to make the stay more enjoyable. You are sure to find something you like as we prepare a wide range of colors and designs for you to choose from. ※ Colorful yukata rental service is only for guests staying at the ryokan. ・Children's meal: please select "child with meal and bedding"